YOUR ALBUQUERQUE FORD DEALERSHIP!Come visit us if you are looking for quality cars, trucks, and SUVs in ABQ! For 58 years, Rich Ford has been serving up great deals to fit your needs as the Albuquerque Ford new and used car dealer. 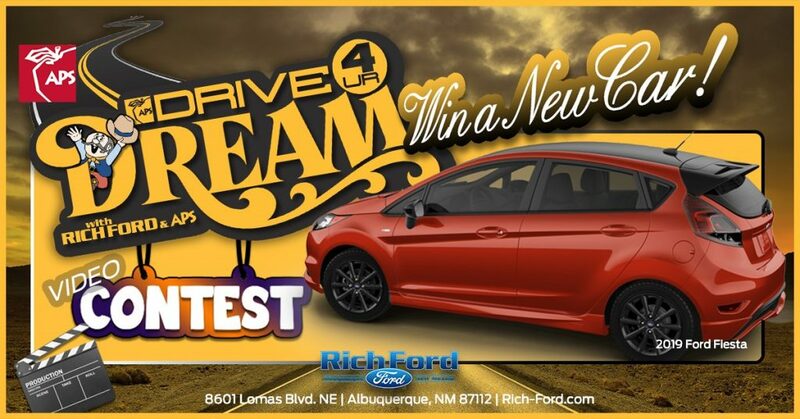 Find your car or truck at Rich Ford, located on Lomas in beautiful Albuquerque, New Mexico! NEW CARSRich Ford is the leading dealership for new Ford cars and trucks in all of New Mexico. We are capable of giving you the best financing options and selection in the state, so come test drive a new 2018 car or truck and see why we are Albuquerque’s favorite Ford dealership – and be sure to check out our Commercial Vehicles too! USED CARSOur used car inventory is stocked and ready to be test driven! Our internet pricing is sure to give you the best deal around, so come by and try a used Ford Mustang, Escape, Fusion, or one of many other car brands and models. Also, be sure to check out our parts department for deals on accessories and special parts offers. NEW TRUCKSWith the best selection of Ford trucks in the entire state, Rich Ford is the only place to go for a new truck in New Mexico. Our friendly and knowledgeable associates will help you find the exact truck to fit your needs; whether you want the fuel-efficient Ranger, the capable F-150, or a Super Duty F-250 or 350 to get the job done! USED TRUCKSOur massive selection of used trucks in Albuquerque ensures that we have what you’re looking for. We carry plenty of different trims and years for the used F-150, the reliable Ford Ranger, and many other makes and brands of used trucks – all at our amazing internet pricing values! Come and take a test drive in your future truck at Rich Ford. YOUR NEW MEXICO FORD DEALERSHIPBuying a car or truck is exciting, so be sure to shopt at the best dealership for a great experience! You’ll be sure to find that here at Rich Ford! Whether you are from Santa Fe, Los Lunas, Belen, Grants, Gallup, Rio Rancho, or Bernalillo, choose Rich Ford – The largest Ford dealer in New Mexico.